Your 1-year-old is beginning to develop food preferences and may have definite ideas about what he will and will not eat. While you should encourage your little one to eat the same foods as the rest of the family, there are certain ones that you should never offer your child. Knowing what foods to stay away from will help you nurture your toddler and teach him to enjoy a variety of nutritious and safe foods. 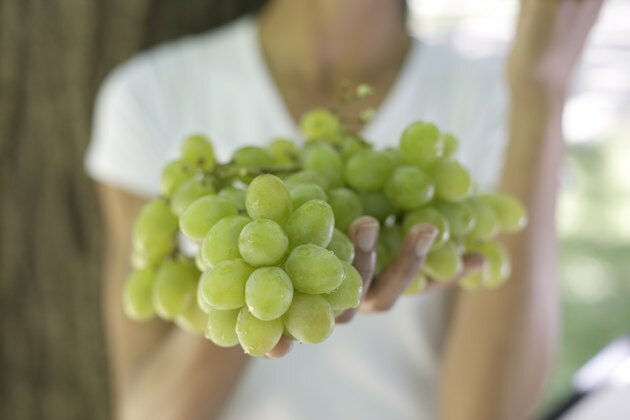 While grapes themselves are nutritious, whole grapes pose a serious choking hazard to your 1-year-old. Your toddler likely does not have all of her teeth yet, which makes chewing food properly somewhat difficult and also increases the risk that large pieces of food can lead to choking. Cut your 1-year-old's grapes into quarters until she is older. Other foods that can cause choking include hot dog rounds, popcorn, raisins, raw fruits and vegetables and large pieces of meat, according to the American Dietetic Association. Cut these foods into small pieces to reduce the risk of choking. 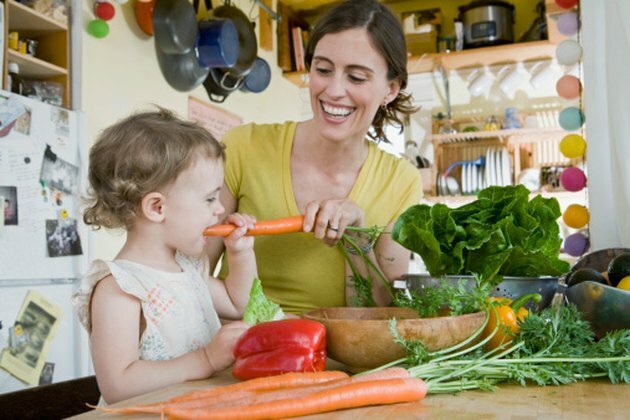 While your toddler is growing, he needs you to serve him a variety of nutrient-dense foods like fruits, vegetables and whole grains. If his diet includes a large amount of sweets, it leaves less room for these nutritious foods. Sweet foods are high in sugar but may also contain an unhealthy amount of calories and fat for your growing 1-year-old. Sweets can also lead to dental cavities and tooth decay. 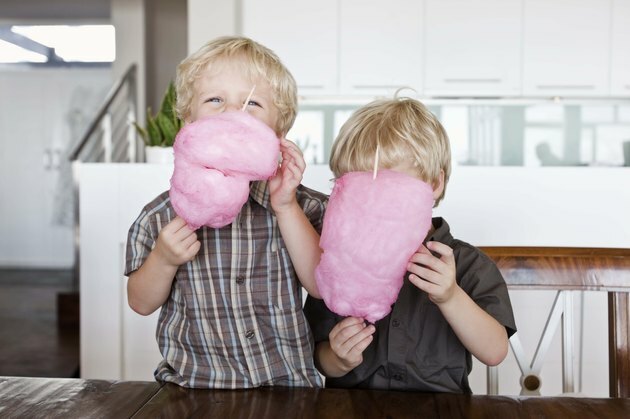 An occasional sweet can be part of an overall healthy diet as long as your child only eats a small portion. Certain candies can also pose a choking hazard, including gummies, hard candies and breath mints, and should never be given to your toddler. Once your baby reaches the age of 1, you will likely begin offering her whole milk three or four times a day. Whole milk is a nutritious food that supports the healthy development of your toddler's brain. The fat and cholesterol are also important for your little one's growth and development. Unless your doctor advises otherwise, refrain from serving your 1-year-old skim, 1 percent or 2 percent milk because they do not contain the fat necessary for proper growth. 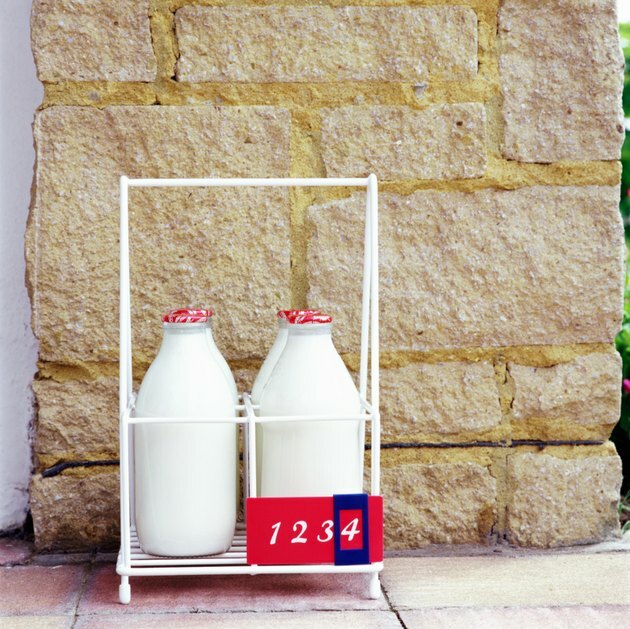 Serve whole milk until your toddler reaches the age of 2, the Nemours Foundation's Kids Health website recommends. Many pediatricians advise against serving your toddler nuts of any kind, including peanut butter, because of the high risk of allergies. This is particularly true if nut allergies run in your family. 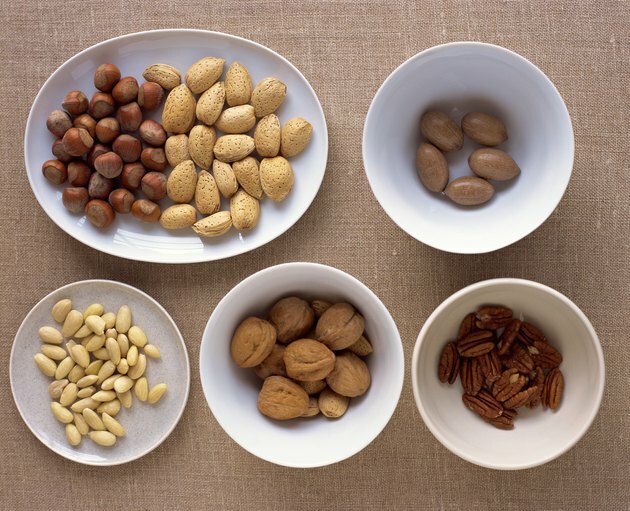 Whole nuts also pose a choking risk since they are just the right size to get lodged in your little one's wind pipe. If you do offer your toddler nuts, break them into tiny pieces first. The American Dietetic Association recommends avoiding peanut butter as well because it is sticky enough that it can get stuck in the back of your child's mouth, which may cause choking. How Many Calories Should a 3 Year Old Eat? What Candy Is Safe for Toddlers? What Do I Feed My 1-year-old Now That She's Off Formula? How Many Calories Should a 6-Year-Old Boy Have?